The Archives Center offers opportunities for fall, spring, and summer internships. Intern projects involve processing (arrangement, description, and re-housing archival collections), digitizing, cataloging and providing reference assistance to on-site and remote researchers. 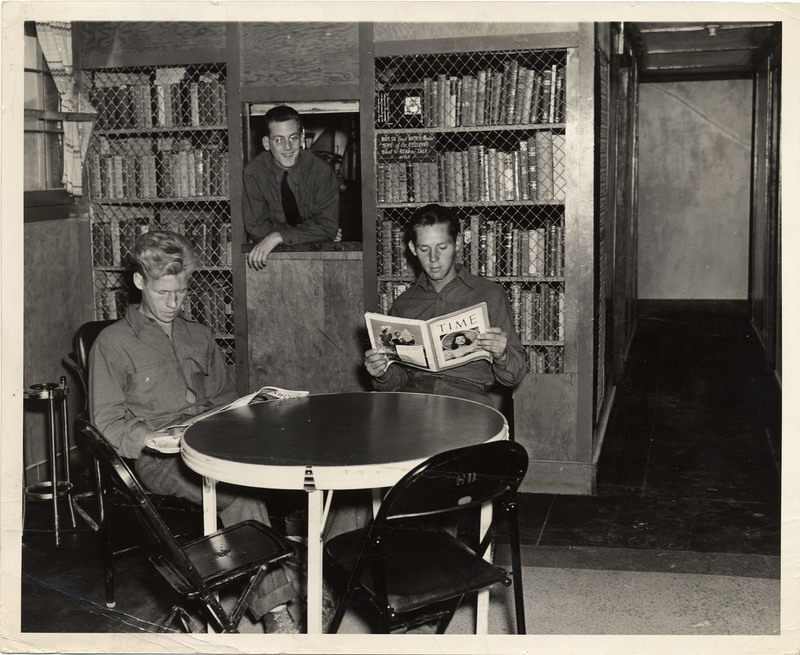 Broadly, all interns contribute to the Archives Center program by preparing collections for research use, disseminating information about the collections through print and electronic media, or working directly with patrons. The Lemelson Center Archival Internship at the Archives Center, National Museum of American History Smithsonian Institution, offers a full time, 10 week, archival internship opportunity for one graduate student working on an advanced archives, library, or museum degree. The internship focuses on collection processing and description for invention and science and technology collections. The internship stipend is $6,000. Housing, benefits, and transportation are not provided. 1. How many internships are awarded? The number of interns fluctuates depending on the time of the year and project and staff availability. 2. How much time does the archival internship require? Internships require at least 20 hours per week for eight weeks. Some interns choose to devote more hours (up to 40 hours per week) or stay for longer periods of time (from three months to one year). Your choices depend on whether there is an appropriate project that coincides with what you want to learn and whether the staff is available to work with you. Start and end dates can be negotiated. 4. What supporting application materials are required? Most interns are either undergraduate or graduate students from colleges and universities around the world, but student status is not required. The Museum welcomes diversity in all respects, including but not limited to age, occupation, nationality, and background, within its intern population. Projects are not generally appropriate for high school students. If you are applying for the Lemelson Center Archival Internship you must be enrolled in an academic program or be able to provide proof of acceptance in an academic program if selected. Recent graduates may apply. United States citizenship is not required, nonresident aliens must apply for the appropriate U.S. visa if selected. 7. Can I earn academic credit? Yes. Check with your academic advisor about the specifics associated with your program. If selected, please notify us of your interest in earning academic credit and we’ll complete any necessary paperwork. 8. What type of skills will I learn? 9. Are there other requirements? Yes. If selected, interns encouraged to attend Archives Center staff meetings to learn more about how an archives is managed; participate in scheduled enrichment programs and fieldtrips to other archival repositories; and make presentations about their work. 10. Is there a stipend? 11. Where can I find housing? Locating housing in the Washington, D.C. metropolitan area is challenging. If selected, the candidate should seek housing as soon as possible. For further information, visit here.